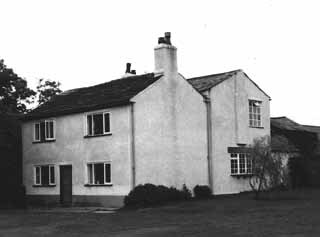 The Dorning House at Cross Lane in Culcheth, England. The cottage where Henry Mort and his wife Mary Dorning lived, and where Jonathan Mort was born. The cottage was adjacent to this house. 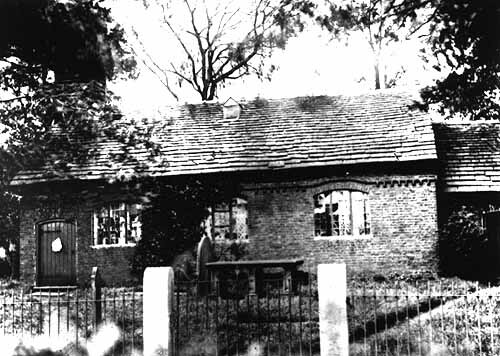 The Risley Presbyterian Chapel which Henry Mort and his family attended. The Church was torn down in 1972. Only the cemetery remains. The Risley Cemetery where Henry Mort and Mary Dorning are buried along with other members of the Mort family. 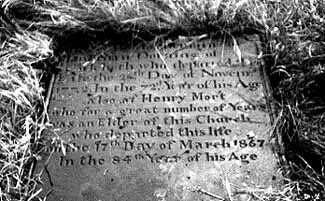 The gravestone of Henry Mort. The inscription reads . 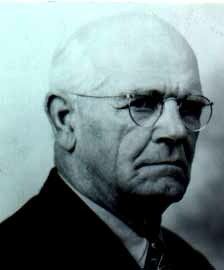 . . Also of Henry Mort who for a great number of years was an elder of this Church . . . who departed this life on the 17th day of March, 1867 in the 84th year of his age. 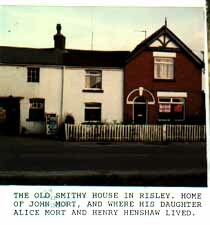 The Old Smithy House in Risley, home of John Mort, and where his daughter Alice Mort and Henry Henshaw lived. 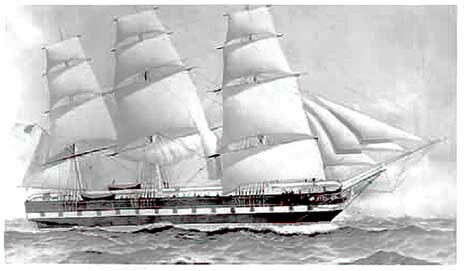 In May of 1844, perhaps due in part to the near collapse of handweaving and other economic conditions, Jonathan Mort and his fiancee, along with the Dorning family of Cross Lane set sail from Liverpool to America on the clipper ship "Roscius". The passenger list indicates that in addition to Jonathan and Mary Payne there were seven members of the Dorning family, two of whom were the Uncles of Jonathan Mort, Joseph and Jonathan Dorning. The ship landed at New York on the 12th of June,1844. 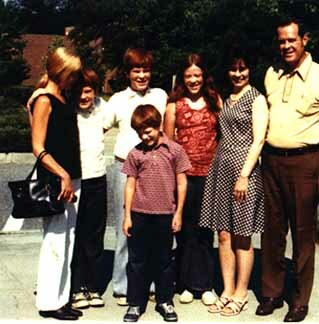 Thomas Best, Martha Mort and family. Martha Mort was the daughter of Joseph Mort, and a niece of Jonathan Mort. 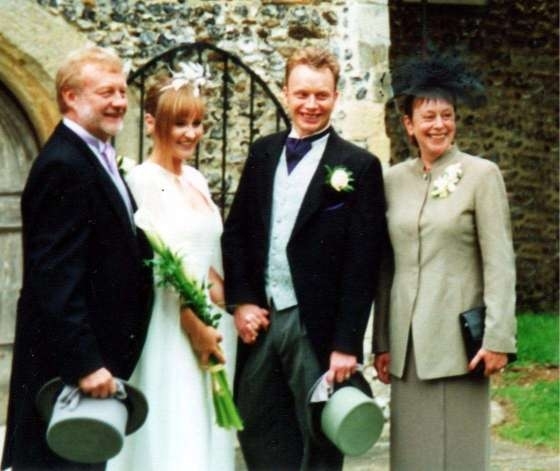 Ron, Eric and Janet Jones. 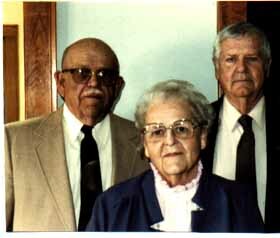 Ron and Eric Jones were grandsons of Thomas Best and Martha Mort. Ron and Eric are now deceased. 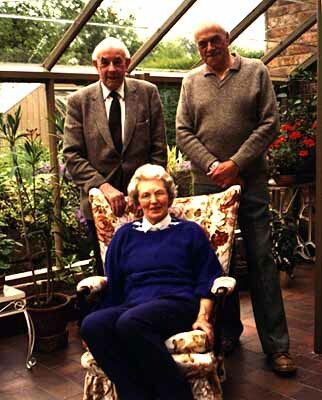 Norman, Margaret Jones and Eric. Norman is the younger brother of Ron and Eric. Norman and Margaret live in Bath, England. 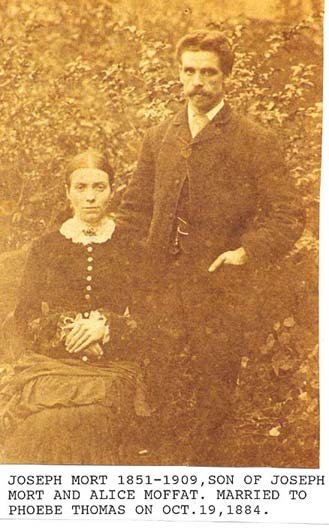 Henry Henshaw and wife Hilda. Henry is a descendant of John Mort, younger brother of Jonathan Mort. Henry and Hilda currently live in Turriff, England. 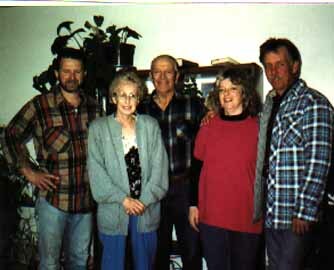 Eric Jones, Ernie Mort and English members of the Rogerson family. 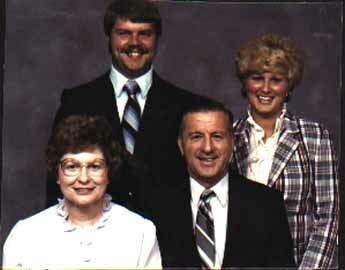 The Rogersons were closely related to the Mort family in England. Joseph Mort, 1851-1909, Son of Joseph Mort and Alice Moffat. 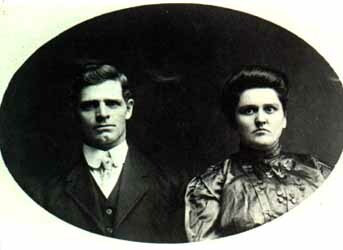 Married to Phoebe Thomas on Oct 19, 1884. Jonathan Mort, 1813-1911. Born in Culcheth, England. Emigrated to America in 1844, died at Liberty, Nebraska. He is the Patriarch of the American Mort Family. Mary Payne Mort, 1821-1897. Born in Culcheth, England. 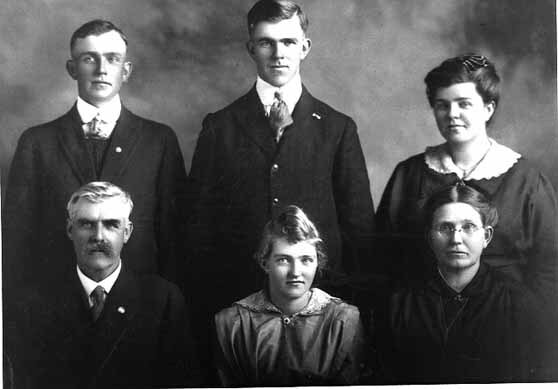 Emigrated to America with Jonathan and members of the Dorning family. Married Jonathan Mort on October 1, 1844 at Yorkville, Wisconsin. Buried with Jonathan at Mt Pleasant Cemetery, Liberty, Nebraska. 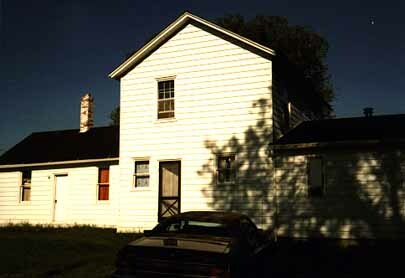 The first home of Jonathan and Mary Mort in Spring Green, Wisconsin, and where their children were born. The center portion of the house was built by Jonathan around 1845. The house is still standing and was owned by a member of the Mort family until 1970. Photo taken at Tate, Nebraska around 1906. 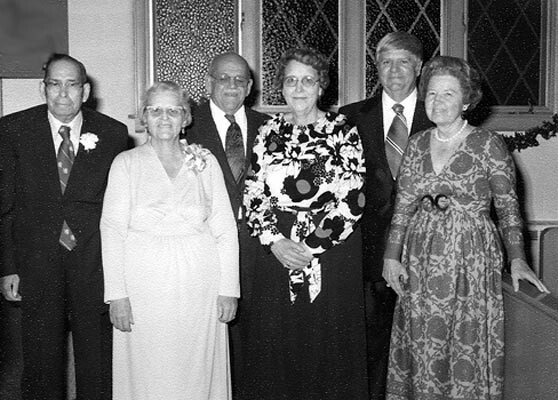 Jonathan I, families of Reuben and Jonathan Mort II, and Grace Gibson. 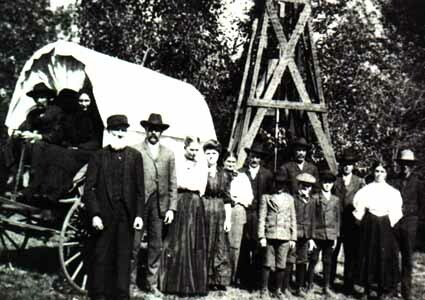 In the covered wagon are the parents of Grace Gibson. Grave of Jonathan and Mary Mort, Mt Pleasant Cemetery, Liberty, Nebraska. James Mort, 1847-1883, the oldest son of Jonathan Mort, died at the age of 36. 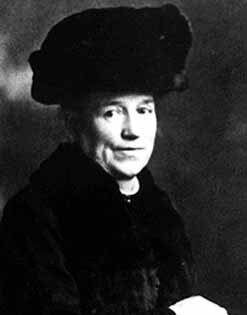 Pictured above is Laura Higgins, the wife of James, who raised eight children. Grave of James Mort, Mt Pleasant Cemetery, Liberty, Nebraska. Thomas Mort, 1849-1905, and wife of Hanna Hill. 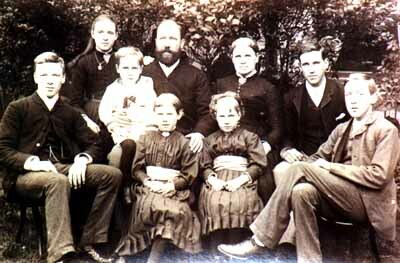 Left to right, Dora, Mary Ann, Eugene, Charles, Grace, Sadie and Roy Mort. 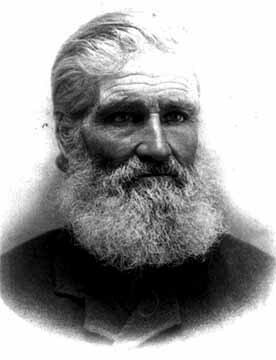 Charles Mort, oldest son of Thomas Mort. 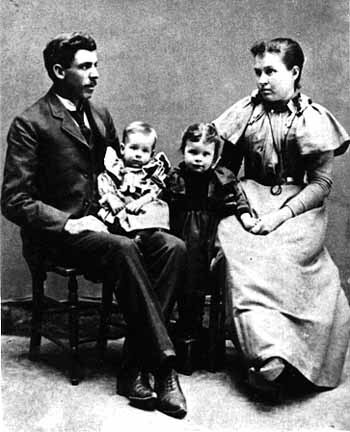 Pictured are his wife, Elizabeth Rathburn and children, Blanche and Leedy. Alfred Mort, 1851-1936, and wife Margaret Mort. Cousins by marriage, they are buried at Mt Pleasant Cemetery, Liberty, Nebraska. 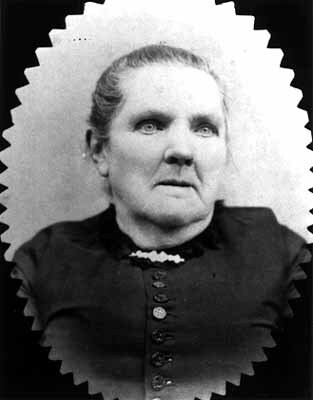 Margaret Mort, 1852-1918, wife of Alfred Mort. Margaret Mort Higgins, 1856-1938, and husband George Higgins. 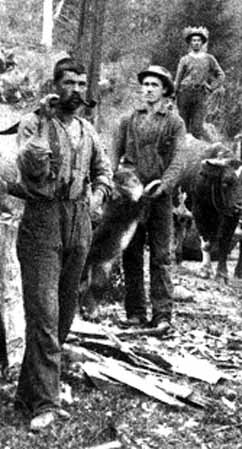 Margaret died in 1938 in Darby, Montana, and George Higgins died in a logging accident in Days Creek, Oregon. George Higgins, husband of Margaret Mort Higgins. 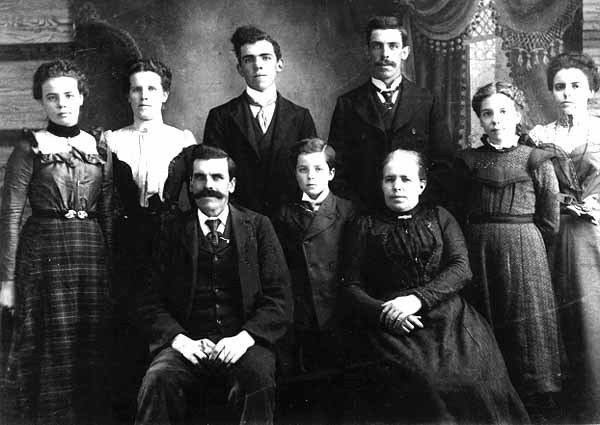 Jonathan Mort II, 1856-1930 and family. Right to left, Jonathan Mort, Phoebe Gibson, Edith, Floyd, Fred and Ernest Mort. 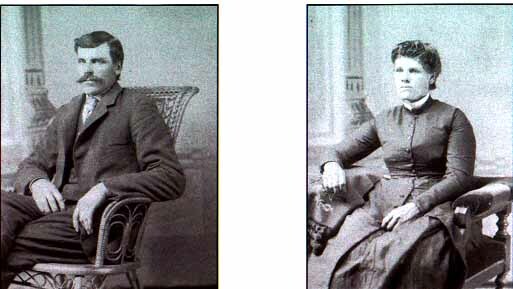 Photo of Reuben Mort, 1859-1937 and wife Susie Gibson. 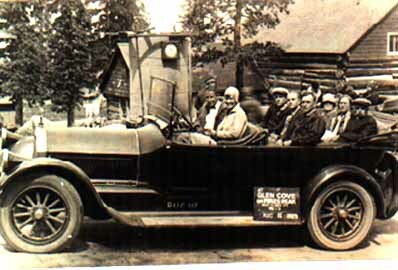 Pictured : Clarence, Carl, Pearl, and Reuben, Fay Alice and Susie Gibson. 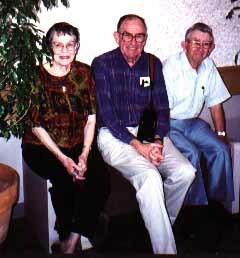 Photo of George Mort, Clayborn Mort, and Beth Springer. Descendants of James Mort, children of Ed Mort. Ed Mort and Cora Wilson. 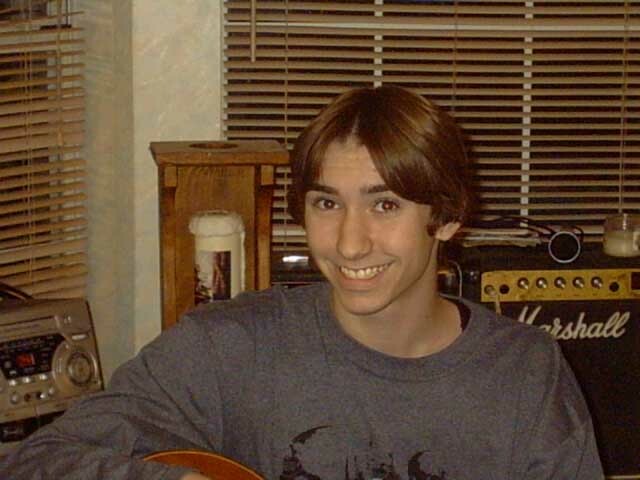 Oldest son of James and Laura Mort. 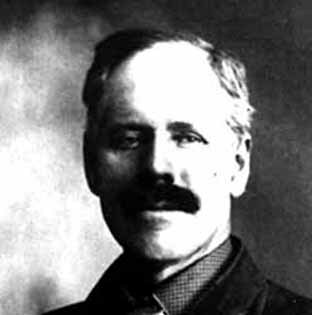 Clyde Reuben Mort. Son of James and Laura Mort. 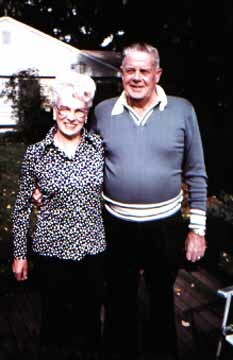 Gerald LeRoy Mort and Agnes Crofton. Youngest son of James and Laura Mort. Photo taken in home at San Francisco. 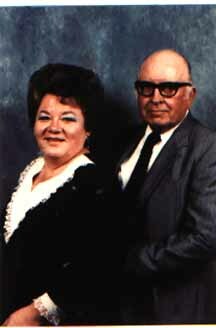 Gilbert and Bernice Mort of Wasilla, Alaska. 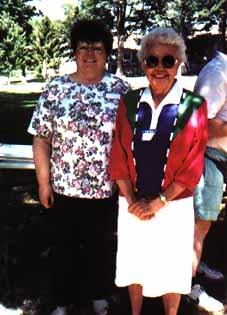 Photo taken with Ernie Mort at Mort Reunion in Springfield, Colorado. 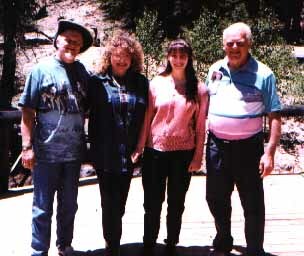 Family of Clyde Reuben Mort. 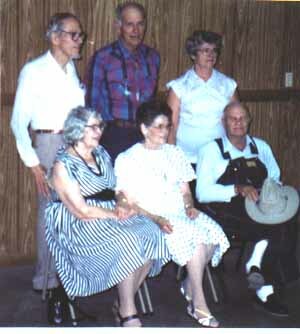 Pictured are Gilbert Mort, Wayne Mort, Grace Stagner, Hazel Jones, Zelma Current, Darrell Mort. 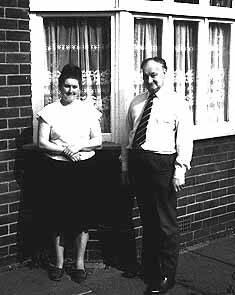 Roy Mort and wife Doris. 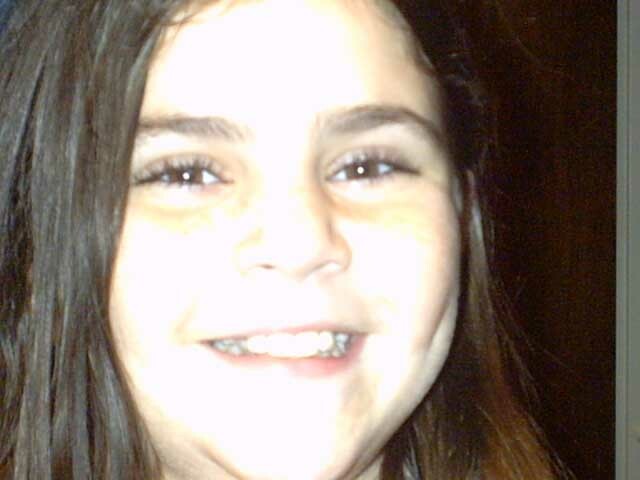 Deceased since 1994. Roy was a professional baseball player in his younger days. 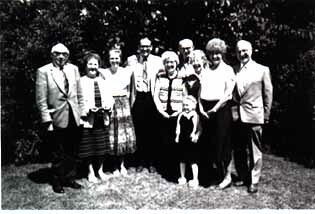 Children of Leonard and Blanche Mort Seckman. 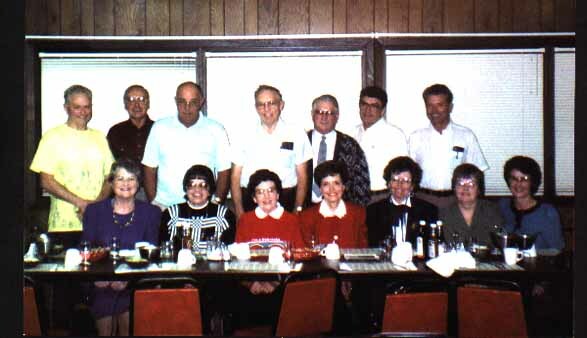 Pictured are Charles, Eugene and Jack, Judean, Eunice, Laura, and Maude. 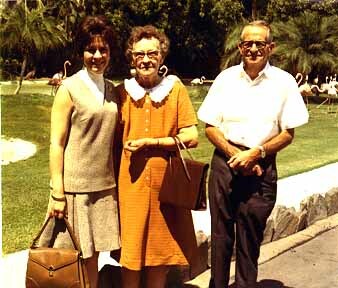 Ernest Mort, son of Charles Mort and wife Mildred Fitzekam with daughter Kathryn Lane. 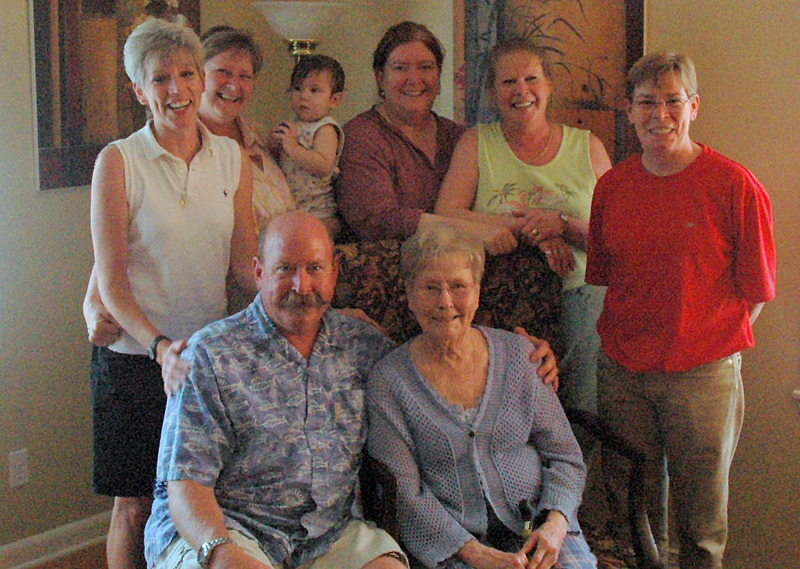 Family of Gene and Ruth Mort. Son of Ernest & Mildred Mort. 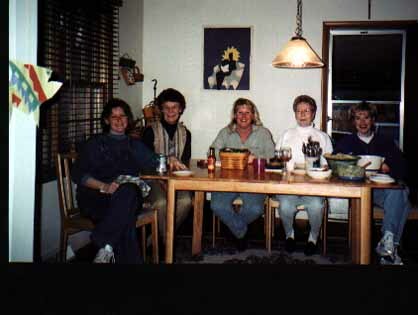 Pictured are Molly, Carrie, Theresa, Susan, Amy and Tim. 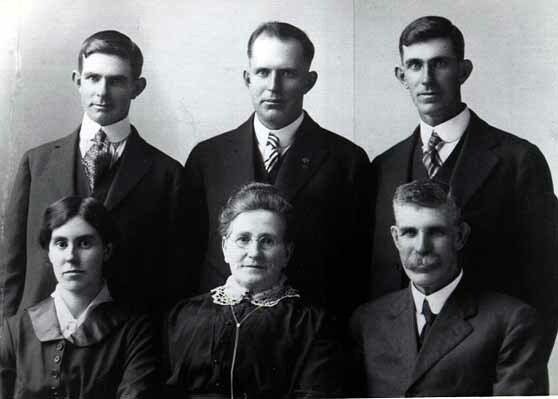 Family of Tom and Betty Mort. Son of Ernest and Mildred Mort. Mary Ann Mort and Wesley Smith. Daughter of Thomas Mort. Grace Mort and Jess McKenzie. Daughter of Thomas Mort. Dora Mort and Guy Patrick. Daughter of Thomas Mort. 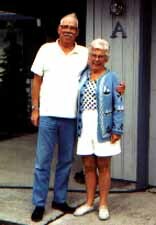 Allen and Loraine McKenzie (deceased). Son of Grace Mort & Jess McKenzie. 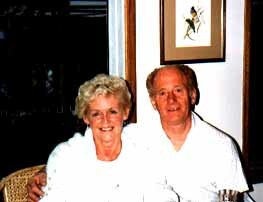 Tom Mort (deceased) and wife Linda Mort. Son of Roy and Georgia Mort. 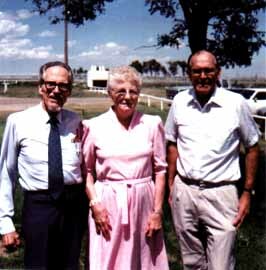 Descendants of Alfred and Margaret Mort. 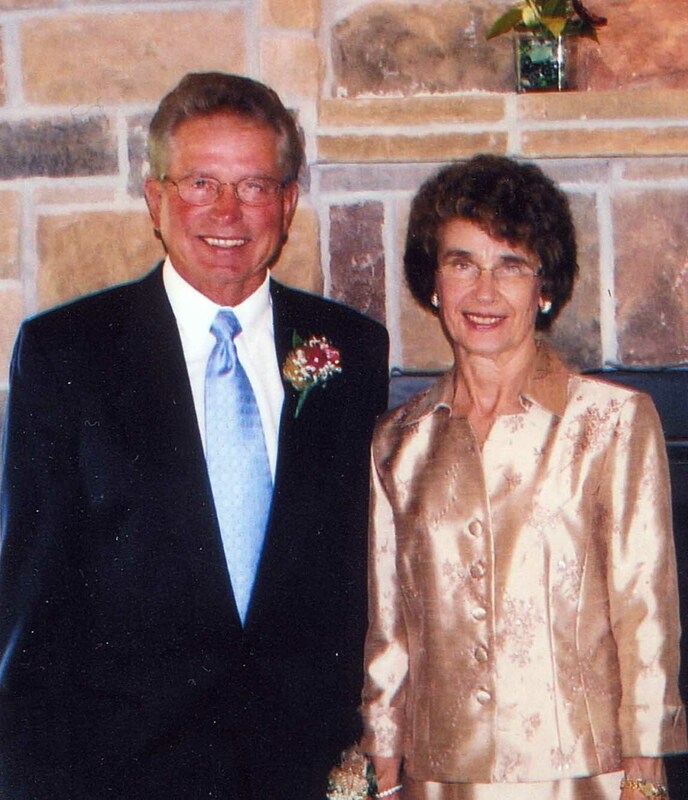 John and Marcia Clark Miller, daughter of April, and father, Eldon Clark. 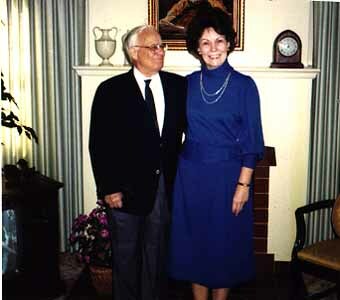 Allen and Ruth Currier. 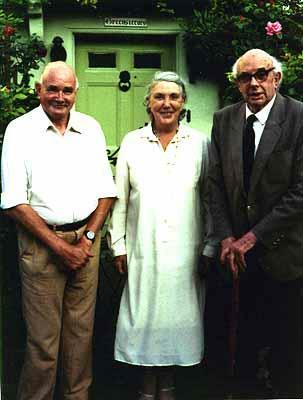 Descendants of George and Margaret Mort Higgins. Family Reunion. 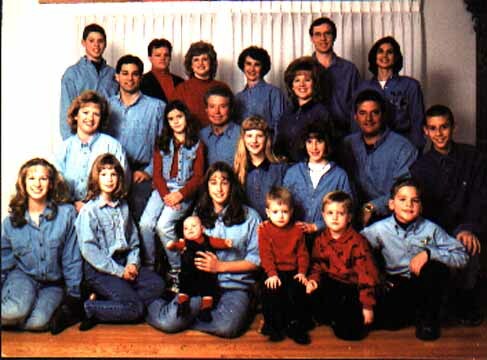 Descendants of Jonathan Mort II. 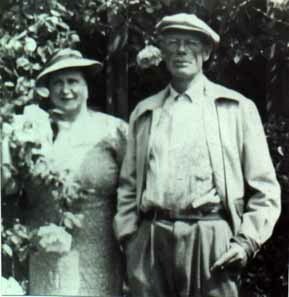 Betty Mort Rowe and Cecil (deceased). Daughter Judith and Dwight Lundgren. Descendants of Jonathan Mort II. 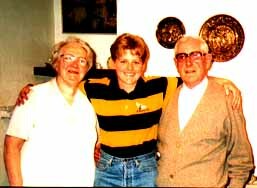 Merlin Dean and family. Descendant of George and Margaret Mort Higgins. 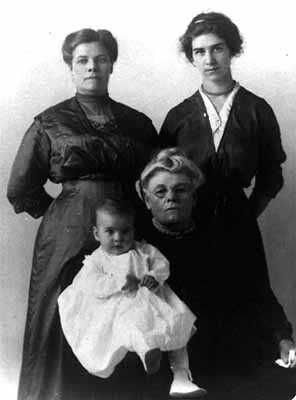 Doris Wymore, Goldie Pyle and Adella Pyle Scott. 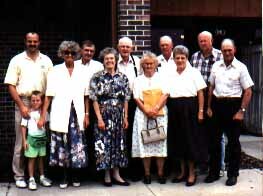 Descendants of Reuben Mort. 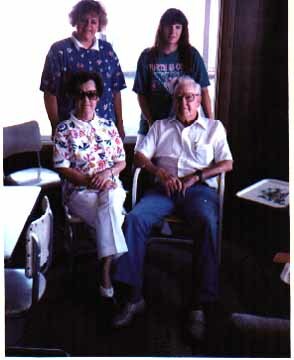 Frank Mort and wife Evelyn with daughter and granddaughter. Son of Ward Mort, grandson of Reuben Mort. 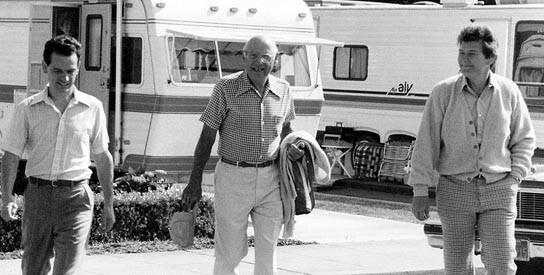 Cecil and Norman Trickey. Norma is a daughter of Dale and Fay Thornburg. Reuben and Susie Mort and family. Pikes Peak photo. Jack and Lois Seckman family. 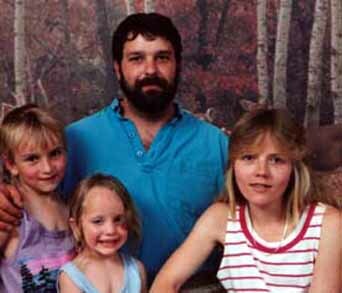 Ruth Mort, Kate and nieces. May Mort Handy and Ernie Mort. May Handy is the granddaughter of James Mort, older brother of Jonathan. 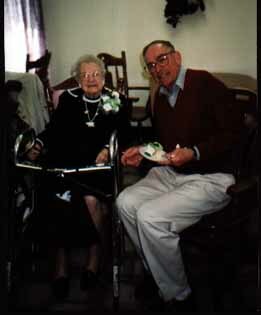 May knew Jonathan Mort, and on March 17, 1999 celebrated her 100th birthday in Shenandoah Iowa. 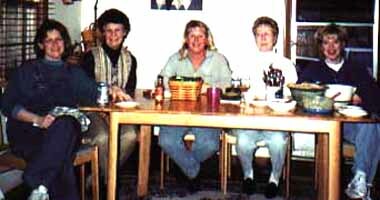 Ruth Mort, Kathryn Mort Lane, Theresa Mort Witt, Carrie Mort Morelock, and Molly Mort Michael. 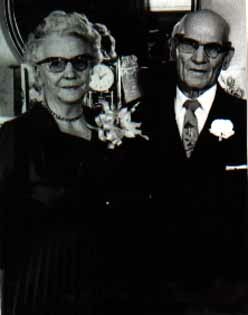 Betty Mort Rowe and Ernie Mort. Betty is the granddaughter of Jonathan Mort II and Phoebe Gibson. 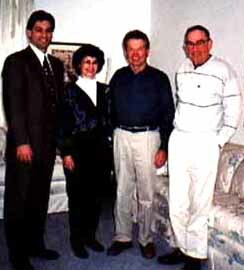 Jack and Lois Seckman with son Richard Seckman and Ernie Mort. 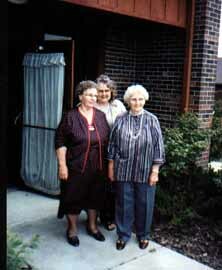 Cousins of Ernest Mort and descendants of Charles and Elizabeth Mort. 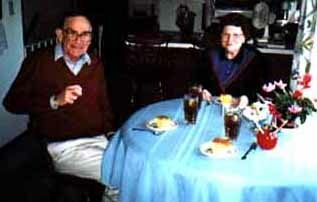 Aunt Mary & Uncle Pete Seyfer, Daughter of Charles and Elizabeth Mort. 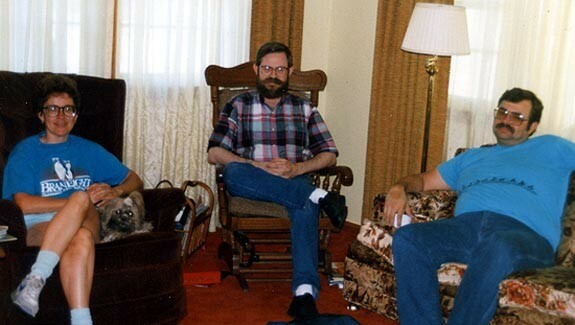 Robert Mort and sons Milton and Robert Jr.